October 5, 2018 - Akua Nyame-Mensah ’19 has worked in e-commerce for the past four years. She was the managing director at Jumia classifieds, Nigeria and Ghana. For the past few months, she served as the leader at a design and build company. She currently aspires to take an entrepreneurial route starting with career advisory services. March 2, 2015 - While at Lamudi (Jumia House) we launched a new online business and developed the brand in Ghana by reaching out to the media and developing a lot of content around the data our platform collected. 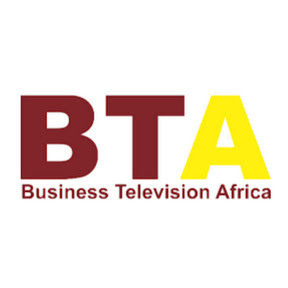 Here my Content Manager, Fidel Amoah secured a speaking slot with Business Titans. Both of us are speaking about real estate on the program. November 11, 2015 - Lamudi, Nigeria’s largest online property portal, has announced Akua Nyame-Mensah as the company’s new managing director. Akua, who currently serves as the MD of Lamudi Ghana will oversee operations of both companies. Speaking on her transition to Nigeria, Akua described the process as “exciting”. She is looking forward to working with the two teams across both continents, which she believes will lead to favourable opportunities for the company as a whole. June 20, 2016 - When in late elementary or early middle school I was really into making greeting cards. I also tried to have my own jewellery company, [but] I think only my mom bought something. I also attempted to make footwear. I did a lot of interesting things when I was still a student. But my first real pay cheque was when working in a library at the US university I studied at.